For some endocrine systems, the concentration of the plasma transport protein can be subject to physiological regulation, i.e., the concentration of PTP can be either increased or decreased. Thus, changes in the amount of PTP can, in principle, alter the amount of "free" H, as described by the relationships of Eq. (6). The current view is that it is the "free" form of steroid hormones and not the conjugate of the hormone with its PTP that enters target cells to begin the sequence of steps that results in the generation of a biological response. Entry of steroid hormones through the target cell membrane may occur by a process of free diffusion, but the exact mechanism is still not known. This section of Chapter 1 presents current understanding of the several pathways of signal transduction involving membrane-based receptors. 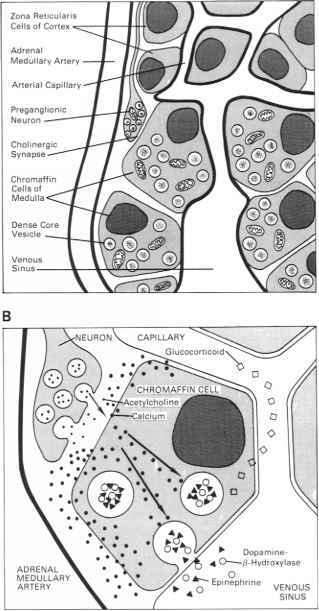 These include receptors that couple to (a) adenylate cyclase, (b) gua-nylate cyclase, (c) the phosphoinositide pathway, (d) the utilization of intracellular Ca2+ as a second messenger, and (e) ion channels. These topics will be presented sequentially. Table 1-6 tabulates the hormones that activate the various specific signal transduction pathways. A given hormone-receptor system may utilize more than one signaling pathway.